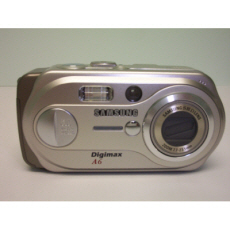 Home Depot is having a Hammer Drop sale on a 6.0MP Samsung Digital Camera. It is on sale for $195.00. If you’re patient with mail-in rebates then go ahead and order one before it runs out. If you’re the kind of person who never bothers with mail-in rebates then don’t bother with this deal. I don’t feel like filling in a mail-in-rebate form now and phoning rebate centres so I’m passing this deal. Sometimes, a hug is all what we need. Free hugs is a real life controversial story of Juan Mann, A man whos sole mission was to reach out and hug a stranger to brighten up their lives. The National Womenâ€™s Show at the Metro Toronto Convention Centre will take place from October 27 â€“ 29, 2006. You can use this coupon to get 2-for-1 admission. The event will include a free gift bag with samples (while supplies last) and free makeovers throughout the weekend. Some special guests will drop by such as Don Diamont from The Young and the Restless, Doug Atkinson from Diva on a Dime, Jane Lockhart of Colour Confidential on W Network and Humble Howard. 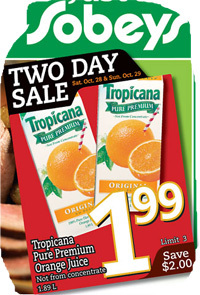 Awesome deal from Shoppers this week. Get a $10 gift card when you spend $50 or more on anything in store! Kushies, up to 65% off. Name brand fragrances up to 80% off. 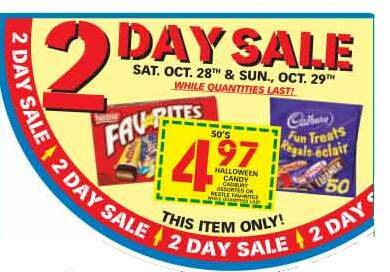 For those who missed it last week, Food Basics is selling the Nestle Favourites and Cadboury Fun Treats (pkg of 50) for $4.97 this weekend only. I strongly encourage all parents to take this program seriously. It can help save a lot of money for your child. Julieonmymind, the Canadian Parents forum moderator, posted some very informative info to get you started with Futura Rewards and since Iâ€™m too lazy Iâ€™ll just copy and paste her post ;-). Thanks Julieonmymind! Futura is an expanded version of what used to be called Kidsfutures, with this program you’re able to purchase everyday products and services from Futura partners and save for RESPs, RRSPs or pay off student loans! For every dollar you save with Futura, its equal to $1 Canadian! Collect barcodes from everyday products. Send in your barcodes or receipts with your tally chart every three months and watch the savings add up. 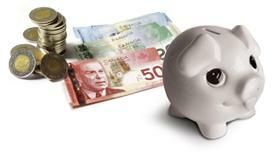 You can also shop at participating local or online retailers to get more in savings. Can I have more than 1 Futura Account? You can only have one account per person, but your relatives and friends over the age of 18 can have an account and have it linked to your account. How do I link different Futura Accounts? All you have to do is call Futura at 1-866-728-3454 and ask them to link the accounts. You’ll be asked for all the account info. Do I have to get the KidsFutures MasterCard to collect Futura points? No, you don’t have to get the KidsFutures Mastercard. If you do, you can save up to an additional 2% in rewards on all purchases you make with the card. You’ll be able to collect Futura rewards without the mastercard by collecting barcodes and shopping at local or online partner companies. 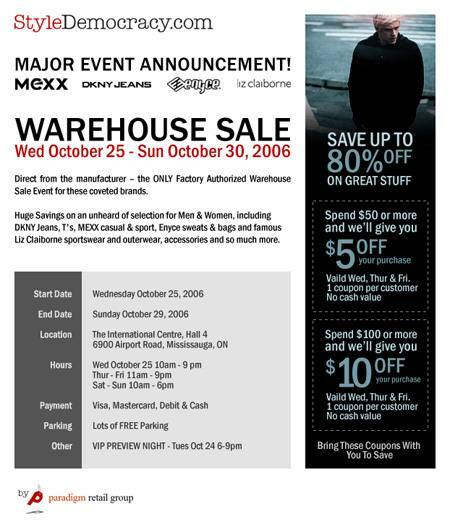 October 26, 2006 is Guess’s Customer Appreciation Day. 50% off Guess sale merchandise is an attractive deal. e.l.f. eyes lips face has a lot of items on sale for $1 USD + $9 flat rate shipping to Canada. If you’re ordering in bulk (and maybe with your friends to pay the shipping once) this is one awesome deal. For $1 don’t expect the most healthy products but some things like brushes can’t really be harmful. The Lego store has some awesome deals. 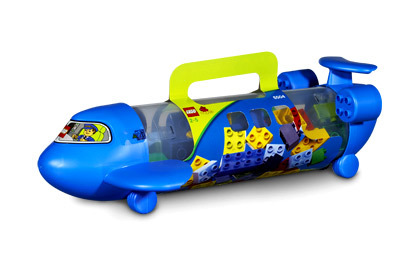 The Lego Duplo Airplane for example is on sale for $5.98. Unfortunately the online Lego store charges at least $5.95 for shipping so unless you’re buying more than 1 item, shipping ruins the deal.